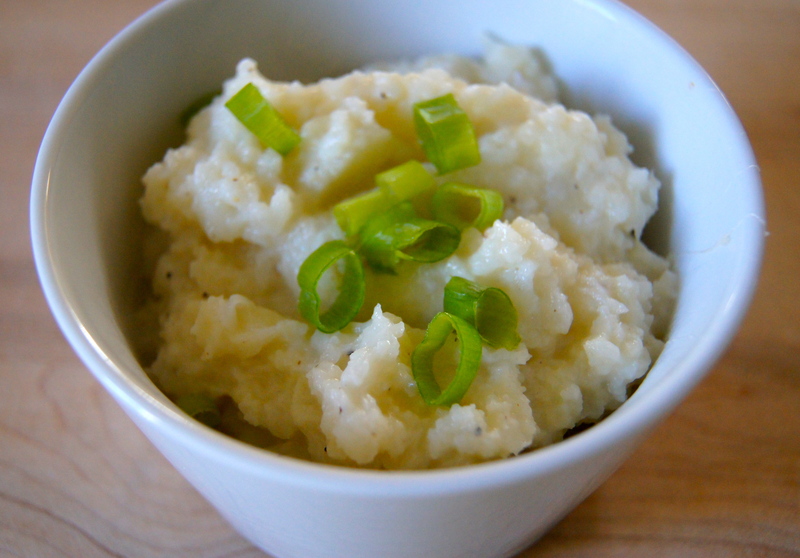 If you are a mashed potato fan this recipe will be right up your alley. I learned of this method from Rachel Ray about 10 years ago and I continue to make it over and over. It’s so simple and easy to switch up and you’re guaranteed an awesome, healthful, extremely quick side dish that your entire family will devour. In a large pot bring cauliflower and chicken stock to a boil. 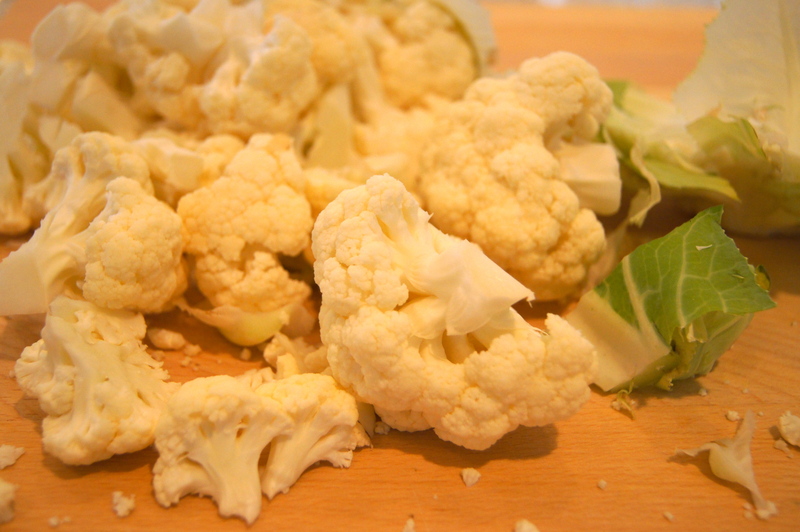 Cover, reduce heat and simmer for 12-14 minutes or until cauliflower is very tender. Remove the lid, add milk (starting with 1/4 cup) and cheese and mash with a potato masher. If you would like a thinner consistency add more milk, season with salt and pepper and top with chives or green onion. Serves 4. What a great concept! I bet Georgia & your husband LOVE IT!